I added a new item in my little shop today. 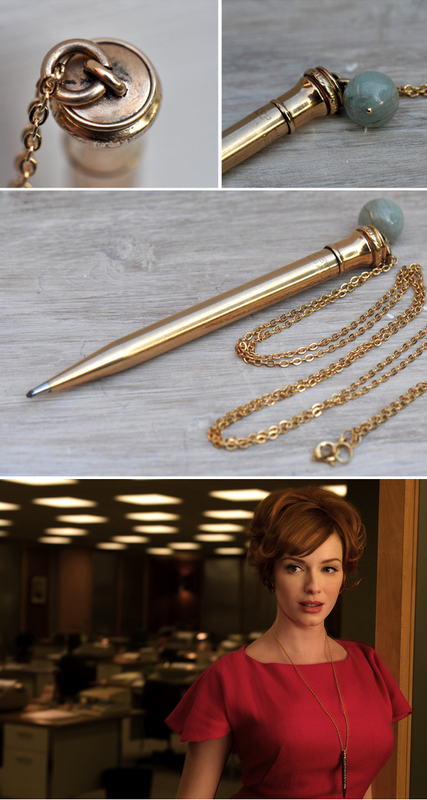 It was inspired by the incredibly gorgeous and always so elegant Joan Holloway of Mad Men, and features a stunning vintage (1920s) gold filled mechanical pencil and a lovely amazonite bead! Wow, gorgeous! Love Joan, she's one of my favourites on MadMen! She's so gorgeous...would love to find one of these - so beautiful...so fun!